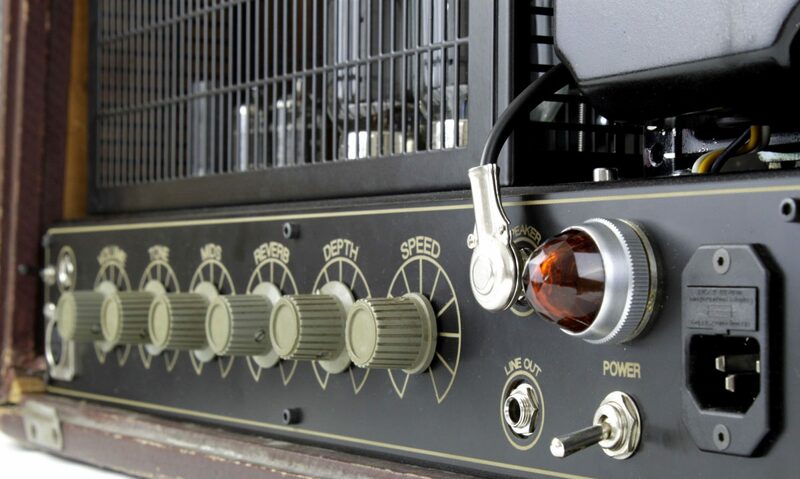 This amp began it’s life as a Marshall Artiste which is one of those few old Marshalls that doesn’t have such a great reputation. Unfortunately, I never got to hear it as this amp came to me with both the power and output transformers thoroughly blown. The best option at this point was to keep the case and chassis and do a complete rebuild. I’ve used Hammond transformers which fit the original holes nicely and kept the EL34 output tube configuration. Although that’s where the similarity to a Marshall ends. 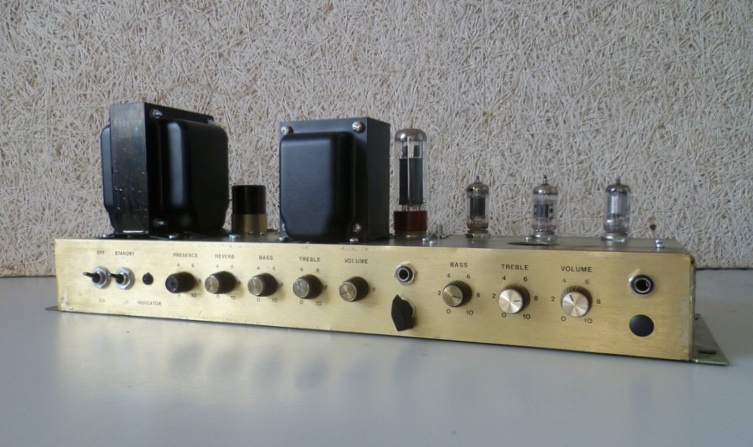 There are three preamps built into the new Artiste: one triode stage; one pentode stage; and with a flick of the switch, one where the pentode cascades into the triode. This gives a lot of tonal range and could be compared to having a tube boost pedal before the amp. As well, since the original amp included controls for a reverb, I’ve installed a bias modulating tremolo with an LED that blinks in time on the front panel.